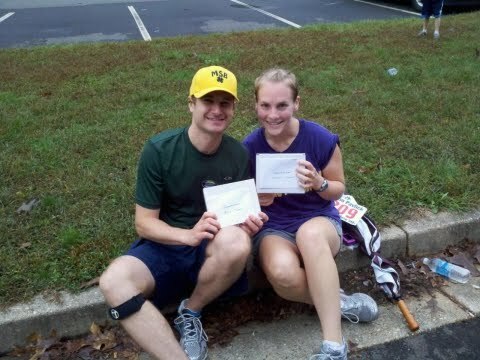 Pardon me while I take a moment and kvell: my brother and his girlfriend each came in First Place in the 8k they ran last weekend. Because they're both humble people, they'd probably give you some wishy washy answer about how it was only first place in their age group, or some other qualifier. Bully pucky. First place is first place. Whooo! Even more important, though, is that they were supporting an important cause. The proceeds from the race go to support research to fight mesothelioma cancer. One of David's friends lost a parent to this horrible cancer, so I know he was glad to be able to take some sort of action. They're #1! They're #1! Gooooooooooooo Team!